This artwork was created by artist Emile-Antoine Bourdelle (1861-1929). The bronze sculpture stands at 9'9" high. It was acquired in 1946 through Robert Allerton. The artwork is displayed at the intersecting paths west of the Sunken Garden at Allerton Park. 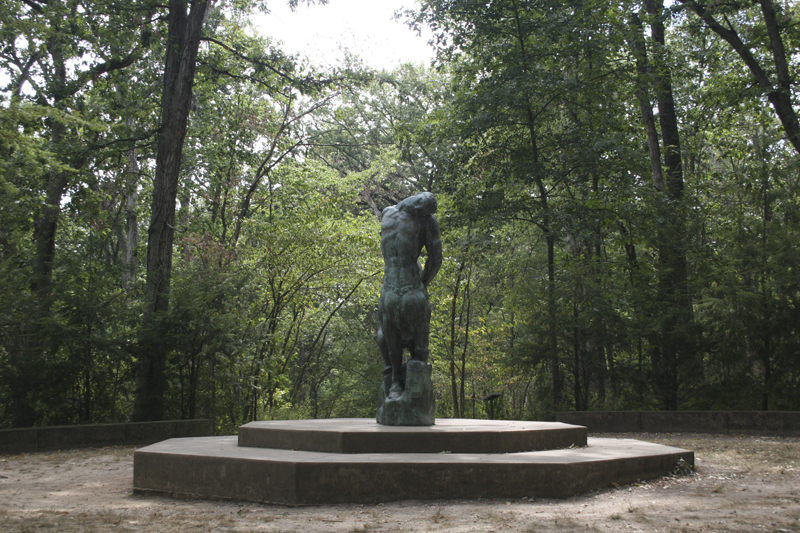 The eminent French artist Bourdelle, regarded by many of his contemporaries as the greatest sculptor of his generation, himself thought The Death of the Last Centaur the "summit" of his achievements. He showed it first in plaster at the Salon of 1914 and in bronze at the Tuileries in 1925. Smaller versions of the work exist, but only five others identical to it were cast (although an edition of ten was planned, according to Mme. 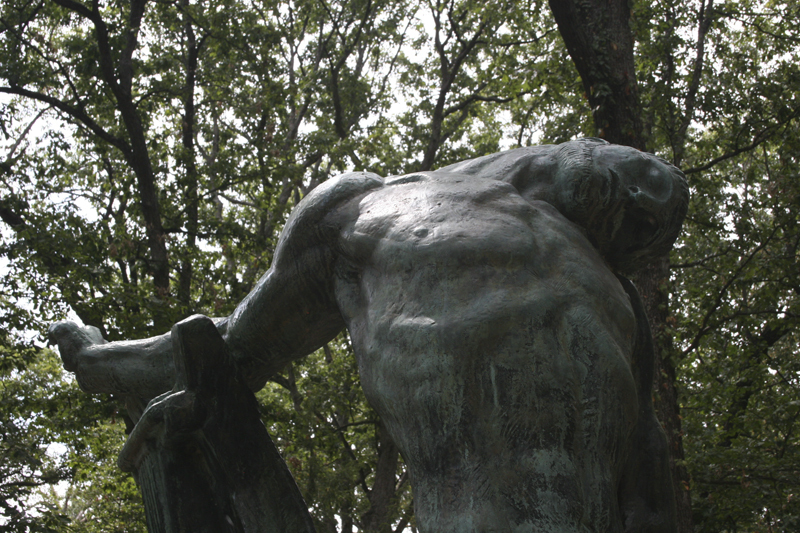 Bourdelle). Allerton bought his directly from Bourdelle in his Paris studio shortly before the artist's death in 1929. The University is fortunate to own it. In large block letters at the front of the statue's base is the inscription "La Mort du Demier Centaure," and at the lower right side, "Emile Antoine Bourdelle 1914." Greek mythology furnished the subject matter, but its more profound, symbolic meaning-the end of paganism; the centaur is dying because no one believes in him anymore, the artist said - is emphasized in John Allerton's stark, extraordinarily fine landscape setting. 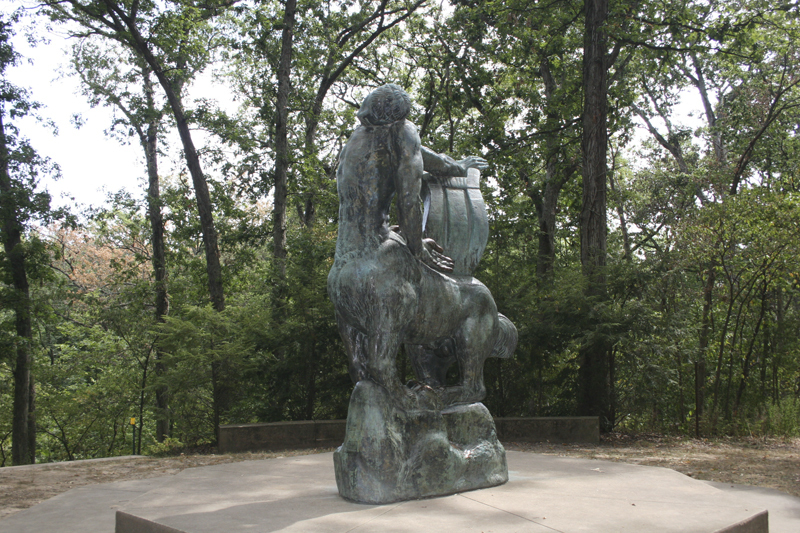 Located in a circular clearing in the forest some distance to the west of the Sunken Garden, the pathetic form of Chiron, the last centaur, is set at viewer's level on a low, spreading octagonal base. Four plain benches define the space, and four perfectly straight, broad walkways radiate out to form a distinct cross. At the ends of these paths, four hundred feet away yet still visible from the statue, are four white concrete rectangular pillars, each twenty-two feet tall, surmounted by large cast-iron Swedish urns. To complete this evocative environment, three evenly spaced rows of hemlocks form a background enclosure to the columns and benches - the entire scene conjuring up images of a clandestine, mysterious rite, at once primeval and Christian. Chiron taught ethics, music, and medicine to many mythic Greek heroes, had friendships with humans, and was one of the few centaurs celebrated for wisdom and kindness. When wounded accidentally by a poisoned arrow of Heracles, he brought his suffering to an end by exchanging his own immortality for the mortality of Prometheus. Bourdelle shows that awesome moment of Chiron's death, as the contorted, pained body-right arm stretched across the lyre he will play no more, hind legs caving in under the muscular, collapsing weight-sinks to the ground. In the exaggerated angle of the nearly horizontal head resting on the shoulder and in the tranquil facial expression, a serene death is suggested, one recalling the dead Christ of Romanesque crucifixes. The park sculpture was made with gold embedded in the bronze, a process now forbidden because of hazards to foundry workers. Gold can be seen in glinting flecks in the finely burnished surface. It breaks up the dark green mass and creates a lively, sparkling effect. 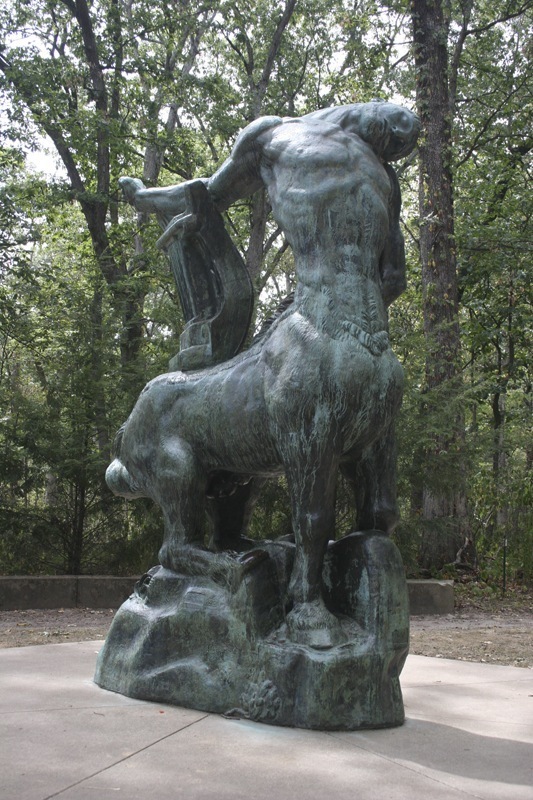 In 1963, a park administrator made a serious proposal to gild the centaur, which would have destroyed the patina-not to mention the integrity of the work. Happily, nothing came of it. Another of Bourdelle's fine works, the Beethoven head, is displayed at the entrance to the Foellinger Great Hall of the Krannert Center for the Performing Arts on the university's Urbana-Champaign campus. 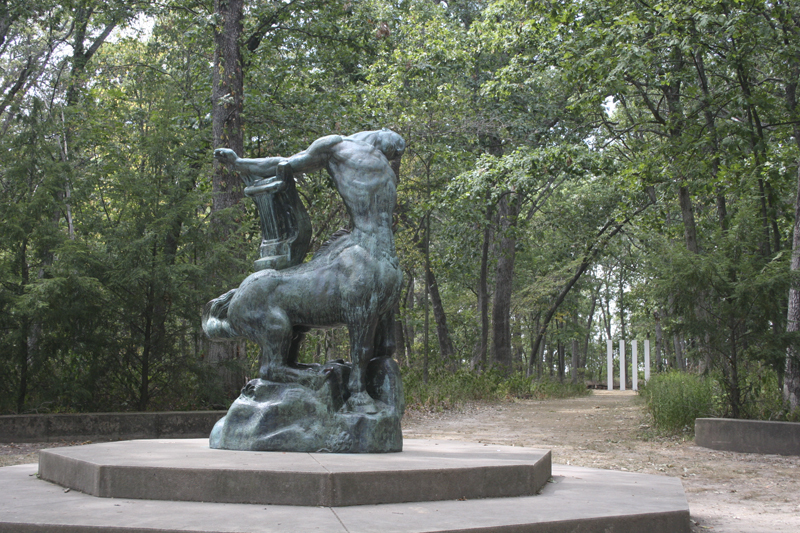 The Death of the Last Centaur can be found is displayed at the intersecting paths west of the Sunken Garden. 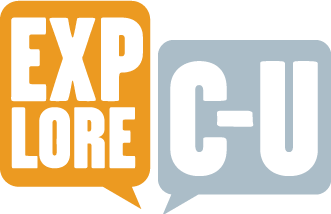 Muriel Scheinman, “The Death of the Last Centaur, 1914,” ExploreCU, accessed April 19, 2019, https://explorecu.org/items/show/56.